We have multiple delivery options - if you place an order Monday - Friday where all basket items are in stock we offer Next Day delivery. You can even order up until 3pm on Friday and receive your delivery on Saturday (please note Saturday delivery is a premium service). We use a range of delivery partners in order to offer the best options for our customers - Fedex, DPD, UK Mail and Royal Mail. Please note Royal Mail deliveries are currently non-trackable on a 2-3 day service. What types of payment are accepted at GAK? 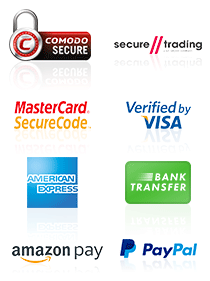 We accept all major debit and credit cards Visa, Mastercard & American Express. We also accept PayPal online and Amazon Pay with finance options on items over £250.00 V12 Retail Finance. When are your shop opening times? Our Brighton Megastore is open from 9:30am - 5:30pm Monday - Saturday, and from 11am - 5pm on Sunday. When are your phone lines open until? Our phone lines are open from 9am - 8pm from Monday - Friday, 9am - 5:30pm on Saturday, and 11am - 5pm on Sunday. How can I get hold of GAK if I have a question or query? There are several ways you can get in touch with us. Over the phone on 01273 665400, via email on [email protected], or using our online chat function. B-Stock products are not brand new and consist of repaired or refurbished customer returns, end of line and ex display stock that may have damaged packaging or missing accessories. Please note, these items are usually ‘one off only’ offers and will be dealt with on a strictly 'first come first served' basis. Clearance items can only be sold to UK mainland customers. What does 'Returned Stock' mean? Returned Stock means that we sold this to a customer who simply didn't want it. You can expect these items to be new with slightly damaged packaging and showing signs of use unless otherwise specified. Ex-Repair means that the item for sale had a fault that has been fixed by the manufacturer. There should be no need to ask us what this fault was as it is no longer present. You can normally expect these items to be in a 'used' condition and may have some blemishes unless otherwise specified. Ex-Demo means that the item for sale has been demonstration stock in our store. We would normally only sell this after the item has become discontinued and therefore no longer needs to be on demo. You can expect these items to be 'well used' but not damaged unless otherwise stated. Secondhand items are pre-owned products that are often well-used but fit for purpose. These items are ‘sold as seen’ but they will be covered by our 7 Day returns policy and include a 28 day warranty. We cannot offer a warranty on secondhand cymbals. Do B-Stock, Ex-Demo or Secondhand Products come with the full warranty? Can I buy B-Stock, Ex-Demo or Secondhand Products via telephone mail-order or in-store? Please always call to arrange this as all non new stock is usually held in our warehouse, you will need to pay a deposit to secure each item that you want to collect or we can ship direct to you from our warehouse. Do you supply B-Stock, Ex-Demo or Secondhand Products outside of the UK? No, B-Stock will only be sold to UK mainland customers and is subject to our standard delivery charges. How do I redeem a Discount Voucher Code and where can I find them? All discount vouchers can be redeemed on our website during the basket stage of your purchase. You will be asked to enter and submit your code, having done that your basket will update with the reduced purchase price. 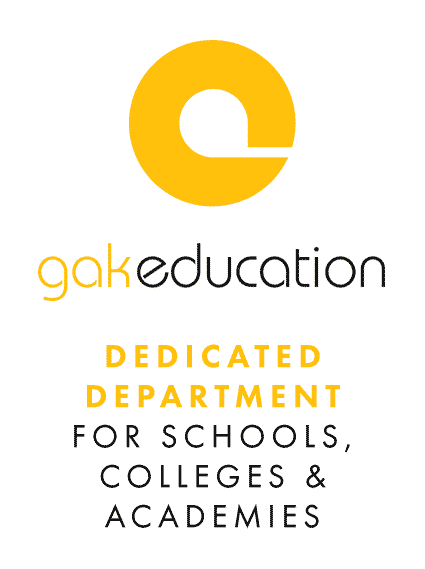 We run intermittent voucher codes for GAK Membership Account holders in the membership area of our website, in our weekly E-Newsletters, and in our printed adverts found in Guitarist Magazine. Most of our vouchers are single use, and have set expiry dates. If you have entered a code and it is not updating your basket total, please call us on 01273 665400. Please note: Finance packages cannot be used in conjunction with any voucher on our website. Any product being purchased with a discount voucher must be paid for in full at the time of order.